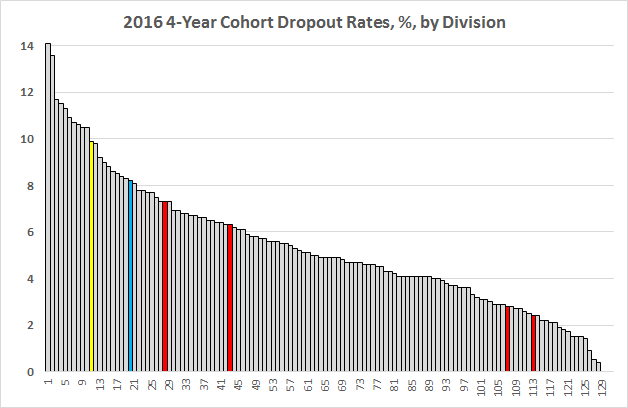 The 2016 4-year cohort dropout data are up at VDOE. The only good thing about the Richmond datum, 9.9% dropouts, is that it’s less than last year’s 11.9%. 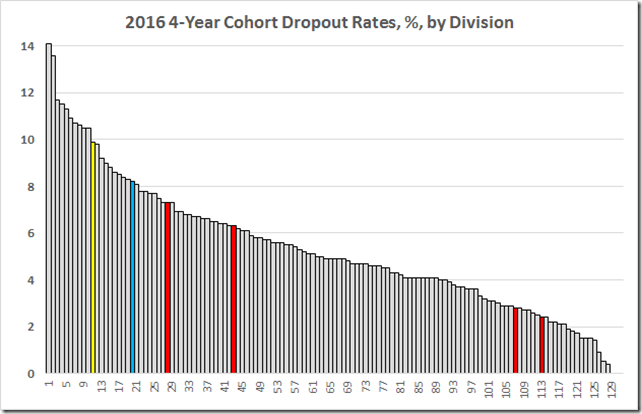 Here is the distribution of division dropout rates. Richmond is the gold bar. The red bars are, from the left, Petersburg, Norfolk, Hampton, and Newport News. The blue, with a hat tip to Jim Weigand, is Lynchburg. Charles City is an invisible 0% over at the right. And here are those selected divisions and the state average. 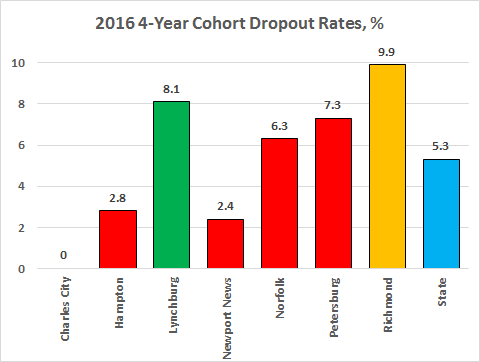 That 9.9% in Richmond counts the 146 kids, out of the 1,472 student cohort, whom the Richmond schools utterly failed to educate. But see this on the subject of the students who did not drop out and were left to marinate in the incompetence of RPS.